I grew up at the base of enormous mountains, but my mountains make up the most western outcrop of the Rockies, and the eastern wall of the Great Basin Desert that stretches across Utah and Nevada to the Sierra’s in California. My mountains get a lot of snow, but not a lot of rain. We don’t have lush forests, we have plenty of pine trees, and groves of aspen trees, and a few stands of cedars, and a lot of scrub oak (which has zero resemblance to an actual oak tree). But thickets of giant trees and miles of lush greenery? Not so much. My mountains still constitute the high desert which is not known for it’s lushness. 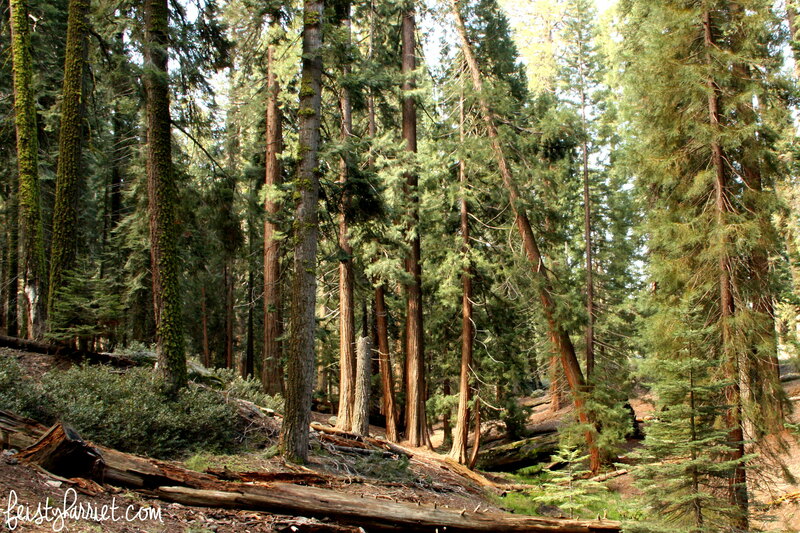 Visiting Sequoia National Park in eastern California was almost overwhelming in how much Tree-ness was surrounding me. Not just little saplings, either, but the soaring monoliths as impressive in their height as their girth. 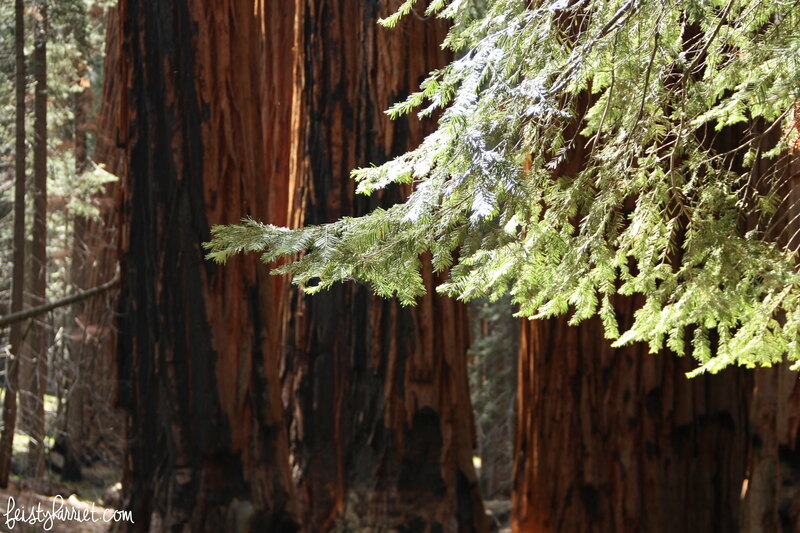 Yes, I most definitely am in-love with the sequoia trees. In. Love. This was not the biggest tree in the park, but look at those tiny people at the left of the trunk! (Also, this pic not-at-all-professionally-stitched together because my camera lens is not wide enough to actually capture the enormity of these trees!) 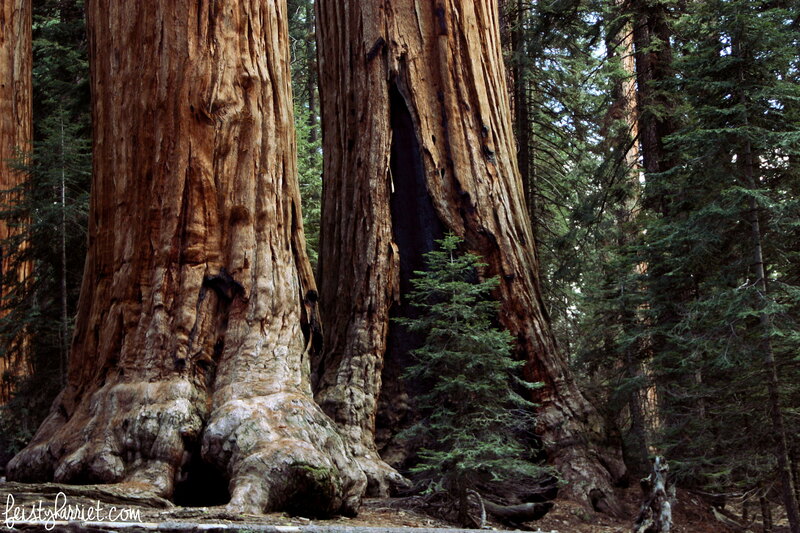 I just…even looking at these pics again, I can hardly fathom how gigantic these living, growing organisms are. They are the blue whale or brontosaurus of the forest: giant and overpowering and awesome in every way. Not inherently dangerous, but you know, would smash you to pieces without even noticing your existence under the right (wrong?) circumstances. That pine tree at the bottom? A good sized Christmas tree. I wandered through the only-sort-of-marked trails in the park for hours, wishing my camera lens could somehow capture what my eyes could see, and also glad that part of the majesty and awe would only leave traces in my memory. General Sherman, largest living organism in the world. Calling it an “organism” somehow makes me think it’s more like algae or plankton instead of this towering giant. Sherman is the largest by volume (52,000 cubic feet), while it is no longer growing taller, maxing out at 275 feet tall, it does continue to gain girth. At the moment it’s already 100 feet around at the base, and still growing. This entry was posted in National Park, Photography and tagged California, National Park, Photography, Travel, Traveling by Feisty Harriet. Bookmark the permalink. Isn’t nature so cool? It’s refreshing (and also humbling), especially with all the craziness in the world these days, that a seemingly simple “organism” (which does sound like something under a microscope) can be so strong and huge and just doing their thing – not regarding us humans and our issues … unless we were to try to mess with them, in which surely they would stomp on us. I haven’t had a chance to see these yet, however just your pictures make my heart flutter a little! Keep the pics of your adventures coming! Sequoia may easily be one of the most magical places I’ve ever visited. So, so gorgeous. 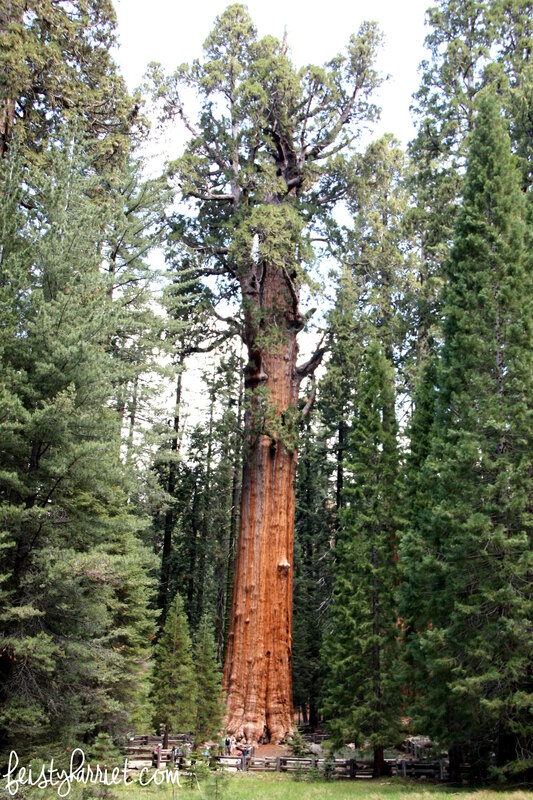 Sequoias are amazing. I miss “my” Utah mountains, but having redwoods at my fingertips makes up for a lot of things! I am just so baffled by those enormous trees. I can hardly wrap my brain around their size, even when I’m there right in front of me. Gorgeous, gorgeous, gorgeous! Looks so peaceful and serene. Yes. I was there during the week, and it was practically empty. I want to go back! Being that empty must have made it even better. Jealous! RIGHT!? I am still baffled by the ENORMITY of those trees. 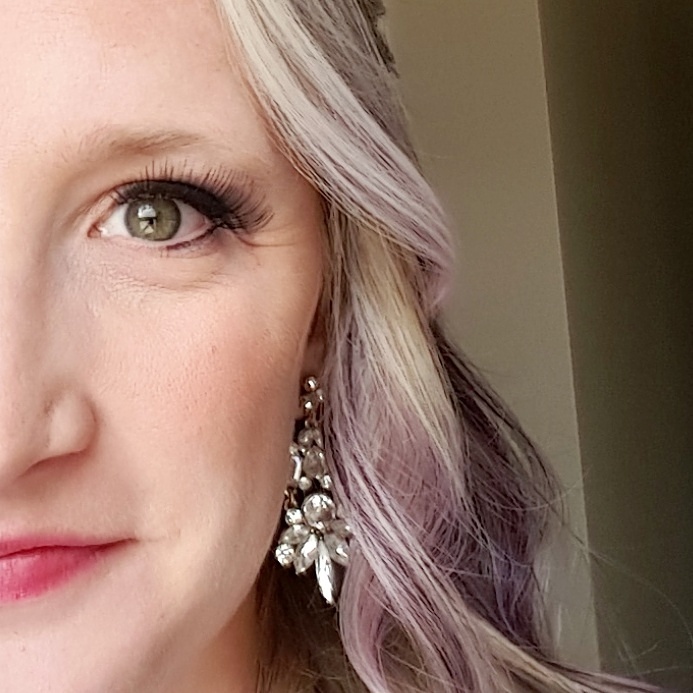 They are just…you can hardly take them in with your actual eyeballs, let alone with any kind of camera lens.